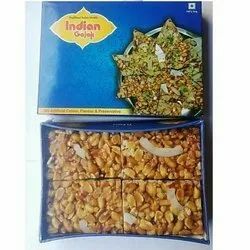 Leading Manufacturer of peanut coconut chikki, peanut jaggery chikki, peanut chikki, jaggery chikki, sesame chikki and gud chikki from Jaipur. Frequency of Requirement 20 k.g. 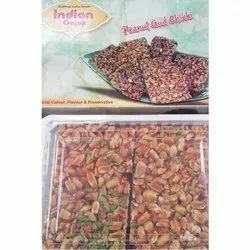 Peanut Chikki. 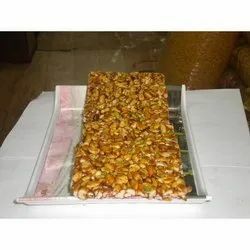 Indian Peanut Brittle, this Peanut Chikki is a staple in Indian homes during winters. 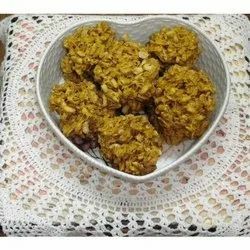 Made of peanutsand jaggery, this is an easy candy to make at home. 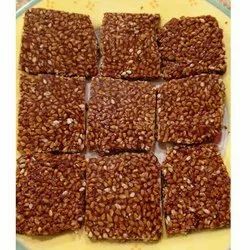 Our organization is engaged in offering an extensive range of Jaggery Chikki. 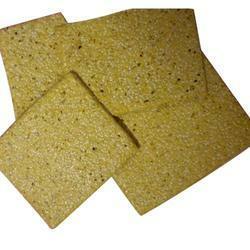 This is highly acclaimed for its freshness, taste richness proper packaging and nutritional value. Further, this is prepared from quality elements and advance techniques in order to maintain quality and flawlessness. 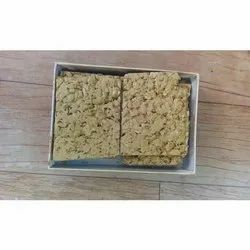 The entire range is available in various packaging and can also be customized as per variegated demands of the clients. 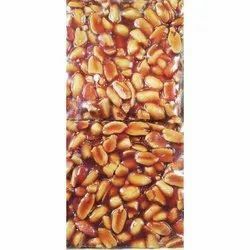 Our valuable clients can avail this range of sweet at the very economical price. 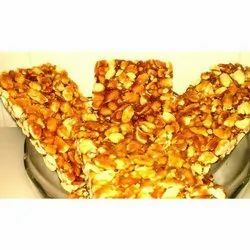 Looking for Sweet Chikki ?